Michael Des Barres (l) and David Dastmalchian in MacGyver. It's a blast from the past for fans of the original MacGyver series on an upcoming episode of the popular CBS reboot. One of MacGyver's most menacing adversaries—in both the past and present series—is an assassin by the name of Murdoc. And in the February 2 episode, we'll see two Murdocs for some double trouble. 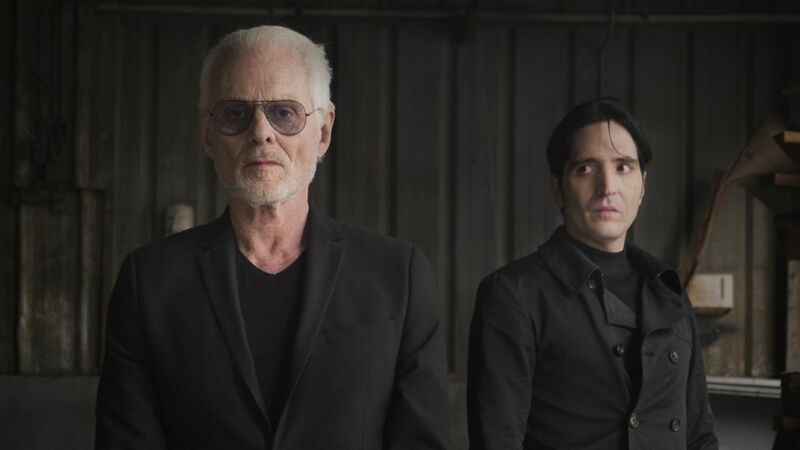 CBS announced Thursday that Michael Des Barres, who played Murdoc in the original series, will guest star in the episode as a mentor for the current Murdoc (David Dastmalchian). But a mentor/mentee relationship can only go so far: When the Des Barres's original Murdoc, Michael, decides to retire, the new one tries to kill him! Of course, Mac (Lucas Till) and the team will get involved in all this mayhem, so it promises to be a fun episode to watch for past and current fans of MacGyver.